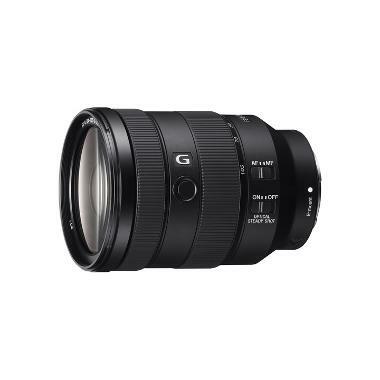 The Sony FE 24-105mm f/4 G OSS Lens is a high performance, versatile, mid-zoom lens with a relatively lightweight and portable design suitable for E mount cameras in both full frame (FE) or APS-C/crop sensor (where the equivalent view is closer to 36-157.5mm). It incorporates an Optical SteadyShot Image Stabilization system to minimize the appearance of camera shake for sharper handheld shooting in low light conditions while a Direct Drive Super Sonic Wave AF motor benefits both stills and video shooting by providing ultra fast and quiet AF performance and minimizing focus breathing. The handy and tactile focus hold button is available for custom functions as well as locking focus for critical moments and the constant f/4 maximum aperture across the entire focal range is ideal for low light situations as well as achieving beautiful out of focus backgrounds no matter what focal range you're shooting at. The Sony FE 24-105mm f/4 G OSS Lens is the perfect tool for events, ceremonies, and travel.